READING, MA — The Board of Health has scheduled an emergency meeting for Tuesday, September 18, 2018, at 7:00 PM, at the Parker Middle School for the purpose of developing an action plan with the public to address recent resident complaints of rodent activity. The Board of Health and the Town take this matter very seriously and will work with the community to resolve the issue. Eliminate Water Sources – Although rodent dependency on water varies with diet and species, water sources should be eliminated. High-protein diets increase a rodent’s need for water, but house mice are capable of living with little water. All three species (Norway rat, roof rat, and house mouse), however, are attracted to water when it is available. Natural bodies of water, such as streams, lakes, and ponds excluded. Standing water – such as buckets, pans, discarded tires, water bowls for pets, window wells of basements, and clogged rain gutters. For indoor inspections, check for water and other consumable liquids that are available overnight in open containers on tables or desks, sinks, cooking pans, and buckets. Condensate – for example, collection pans under refrigeration or air conditioning units; from dripping or running water from a pipe onto the ground or pavement (or onto a basement floor indoors); or directly from the surface of, or dripping from, cold water pipes indoors. Leaks – for example, a roof, pipe, or outdoor faucet onto the ground, pavement, or floor (indoors). Eliminate Food Sources – Proper storage of refuse (also called municipal solid waste or MSW) requires the use of rodent-proof containers of adequate construction, size, and number. Refuse is defined as a mixture of garbage and rubbish. Garbage consists largely of human food waste (organic, putrescible), but it also includes offal, carrion, and animal feces (e.g., dog or horse). Rubbish is considered non-food solid wastes (combustible and noncombustible, non-putrescible) such as metal, glass, furniture, carpeting, paper, and cardboard. Rubbish also includes wood chips and yard wastes. Eliminate Harborage – such as abandoned vehicles, abandoned appliances, lumber or clutter on the ground. Items left around yards such as old tires, car engines, drums, tree limbs, rubble, doors, mattresses, furniture, or any other large items. Weeds or grass exceeding 12 inches in height, as well as bushes and overgrown shrubbery, provide harborage. Rodents use dilapidated board fences, walls, or concrete slabs (e.g., patio slabs, broken sidewalks) as harborage. In homes, they use structural deficiencies such as crumbling masonry foundations, deteriorated fascia boards at the edge of roofs, and poorly fitted doors with gaps of sufficient size. Pipe and wiring gaps coming from the exterior into the house are also areas rodents gain access for harborage. 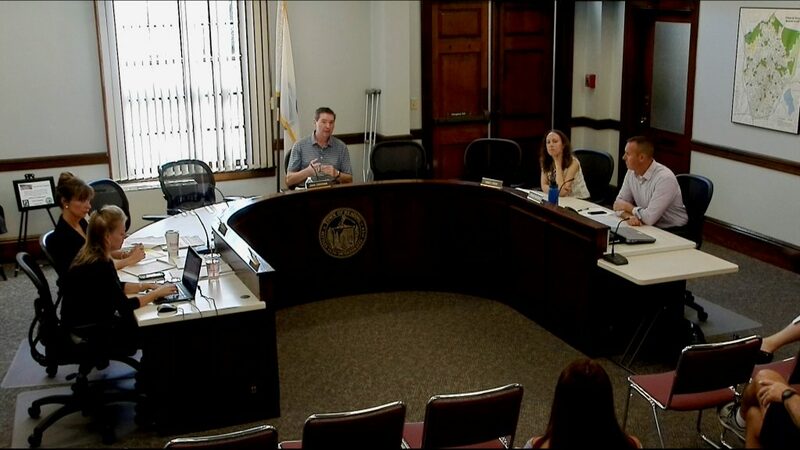 The Board of Health will continue to update the public about progress and next steps through the Town’s website (ReadingMA.gov), social media, and other means of communication as needed. * Source – Centers for Disease Control and Prevention.